Please consider becoming a monthly donor with Ethiopiaid Canada. Just $20 per month pays for school supplies and new clothes for vulnerable kids, nightgowns for fistula patients, or part of a loan for entrepreneurial women. With the reduced administration costs that come with signing up for a regular gift, your money has even more capacity to change lives. Regular gifts provide us with the security we need to effectively plan ahead and ensure that we make the greatest difference to the people of Ethiopia in the most meaningful and sustainable ways. You can make a secure one time donation or set up a regular monthly donation through our website or by calling 613-238-4481. This summer 2018, we are launching the Ethiopiaid Canada Ambassadors Program! We are launching this initiative to mobilize and motivate a community of supporters across Canada, and to make your experience with Ethiopiaid more engaging. In a country as geographically vast as ours, local Ambassadors will play a big role in spreading the word about Ethiopiaid. A few of our donors single-handedly took the initiative to mobilize supporters and raise donations, and they have made a big impact. From these great experiences we decided to launch the Ambassador Program. Championing our cause and spreading the word! The options for Ambassadors to showcase Ethiopiaid are endless. These might include sharing stories about Ethiopiaid on your social media streams, hosting a friendly informal gathering with some of your friends to present our work, or organizing a screening of an Ethiopian film. Alternatively, you might decide to hold a dinner party, or host a presentation in a public space (community centre, café, or church) on an issue that inspires you. We want this experience to be truly enjoyable for all our Ambassadors, and to fit around your schedule and needs. The key word is: freedom! On becoming an Ambassador, the only commitment we’d like you to make is to perform at least two activities a year. An activity could be anything from a blog post, to a fundraiser, to a full-blown event - you decide what works best for you. There are so many great reasons to become an Ethiopiaid Ambassador. Become part of an active and passionate network, meeting like-minded people all across Canada. 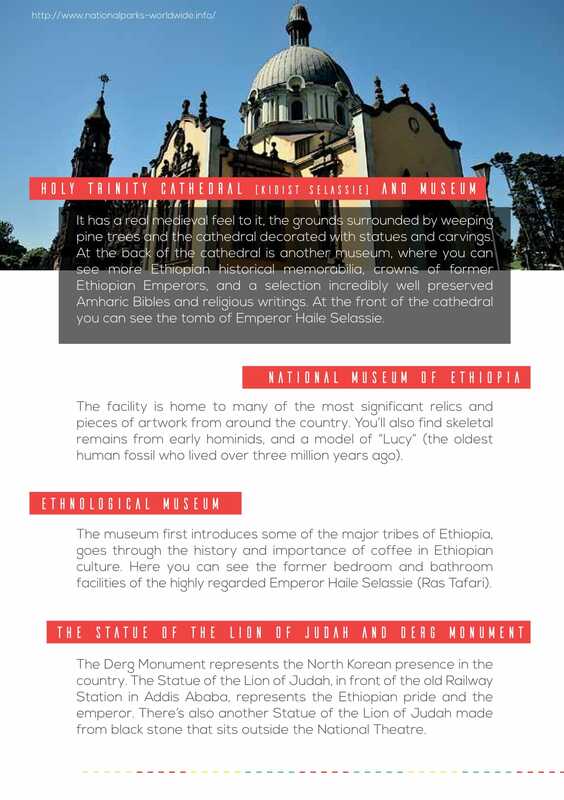 Learn more about Ethiopia and gain a deeper understanding of this beautiful corner of the world. Discover a new skill or round out your resume. Engage your local community and make new friends, and most importantly, have fun! 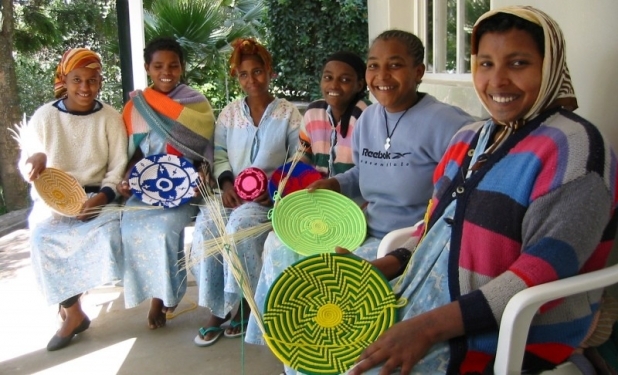 Whether it’s a desire to spread the word or contribute to Ethiopiaid’s goals, you will make a real impact on the lives of women, children and communities in some of the poorest regions of Ethiopia. Each Ambassador will receive an Ambassador Toolkit containing all the information and resources you could need - from flyers to PowerPoint presentations, cultural resources, case studies, and guidance on how to fundraise and spread the word. You will also be invited to the Ambassador’s Facebook Group and exclusive webinars with Ethiopiaid staff where you will be able to ask questions and learn more about the organization’s work. The Ethiopiaid team in Ottawa, as well as the Ambassador network across Canada, will be there to help you each step of the way. So you’re interested in becoming an Ethiopiaid Ambassador? Great! Please contact Kayleigh by email at kayleigh@ethiopiaid.ca or by telephone 613 238 4481, and she’ll tell you about the next steps. In order to build on the amazing legacy we have already created together, we must prepare and plan for the future. It's time for us to establish the structures necessary to deliver permanent change to those living in poverty in Ethiopia. Please help us empower individuals and communities with the resources needed to achieve their full potential. To inquire about legacy gifts to Ethiopiaid, please call us at 613-238-4481, or email us at info@ethiopiaid.ca. 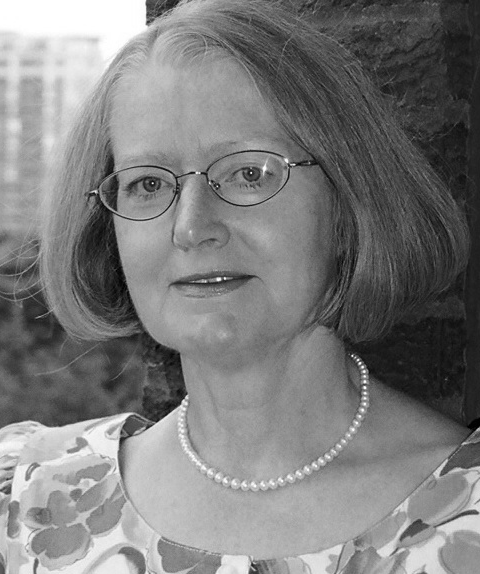 “When I travelled to Ethiopia on business in the late ‘90s, I knew little about the country. It wasn’t long before I fell in love with the people, the culture, the scenery and the history – everything, I thought, but not so. The plight of many Ethiopians, who lack sufficient resources in food, clean water, health care, employment, is hard to watch, as is the damage done to many from war wounds or stepping on discarded land mines. 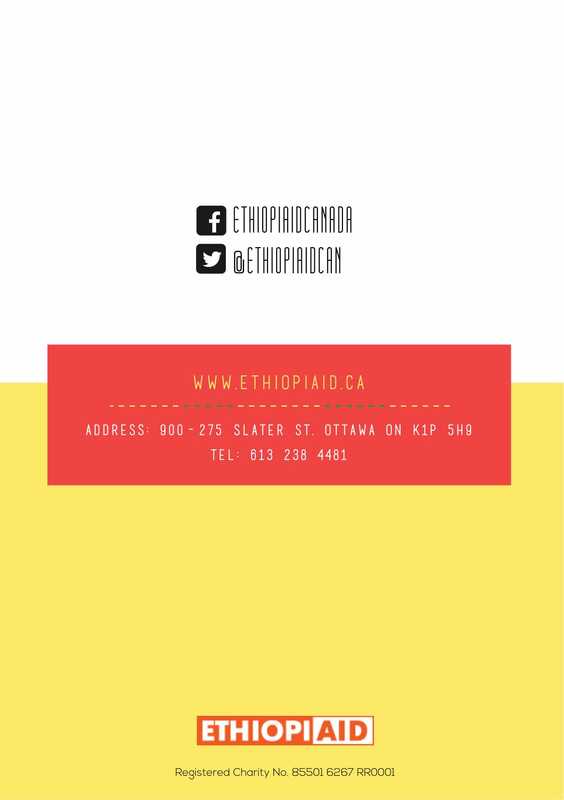 Building a relationship with Ethiopiaid Canada is a great way to let your staff and customers know that you care about making the world a better place. It shows that your company takes its social responsibility seriously and it can enhance your reputation with your key audiences. 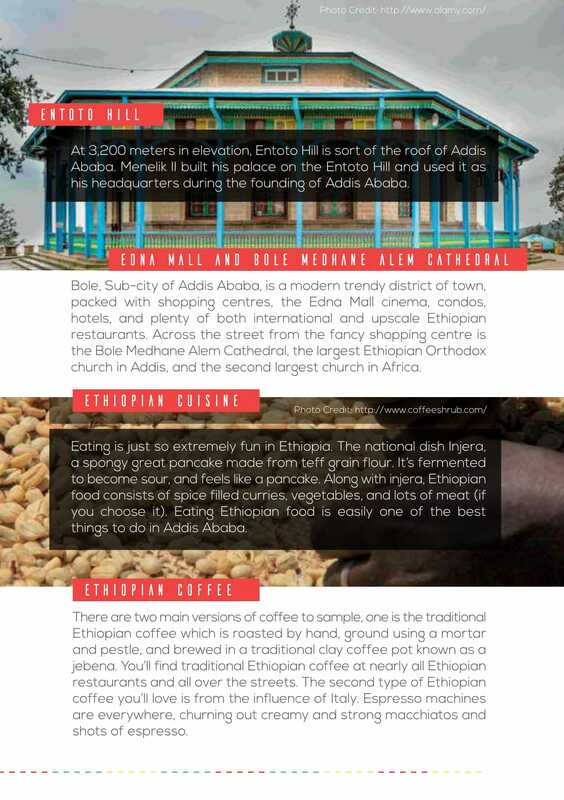 Partnering with Ethiopiaid can put your company in a unique position. We are a small organization and have a direct and close relationship with our Ethiopian partners. This means that you can become a key supporter of life-changing projects in Ethiopia, which will generate goodwill amongst your staff and customers and add immense value to your company. Your gifts can be one-off contributions or you can help fund our work over a number of years, which will allow you to see your company's impact on the lives of those benefiting from our work. You can also support an Ethiopiaid event here, in Canada, and help us gather new support for our work. For more information please contact info@ethiopiaid.ca. If you would like to help make a difference to the lives of people in Ethiopia, but don't feel you can make a financial commitment, why not fundraise for us instead? There are lots of exciting ways to raise money. Continue reading for some ideas to get you going. Are you a talented cook? Or perhaps a quizmaster? Use your skills to organize fundraising events to help empower a woman, send a child to school, or pay for a fistula repair surgery. By donating money from a Wedding or Birthday, you are helping to spread your happiness across the world. Donate a Car Canada accepts Vehicle Donations for Ethiopiaid Canada. Free towing is provided in most areas across Canada, or you can drop off your vehicle to maximize your donation. When you donate your car, truck, RV, boat, or motorcycle to Ethiopiaid Canada through Donate A Car Canada, it will either be recycled or sold at auction (depending on its condition, age and location). Donate a Car Canada will look after all the details to make it easy for Ethiopiaid Canada to benefit. After your vehicle donation is complete, our charity will send you a tax receipt and will put your gift to good use. Please click here to donate a vehicle. If you would like to discuss your ideas with us, order leaflets, or if you would like more information about our work, please do not hesitate to call us at 613-697-4843. 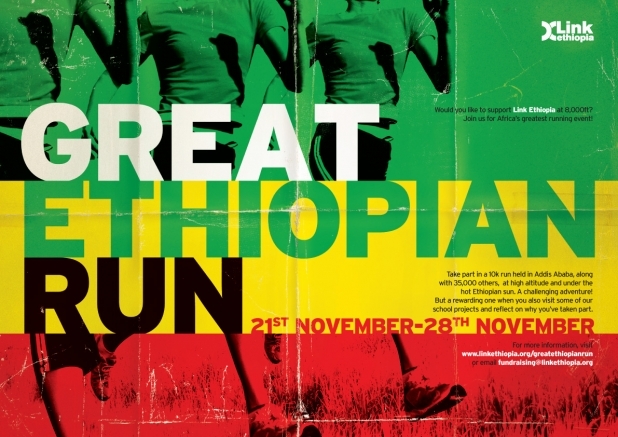 For the second year in a row, join us in Ethiopia for the Great Ethiopian Run 2018! Each November, Ethiopiad runs a fundraising trip to Addis Ababa, offering you the once-in-a-lifetime chance to visit and volunteer with the partner charities you help us to support - giving you the opportunity to see the difference you make first-hand. 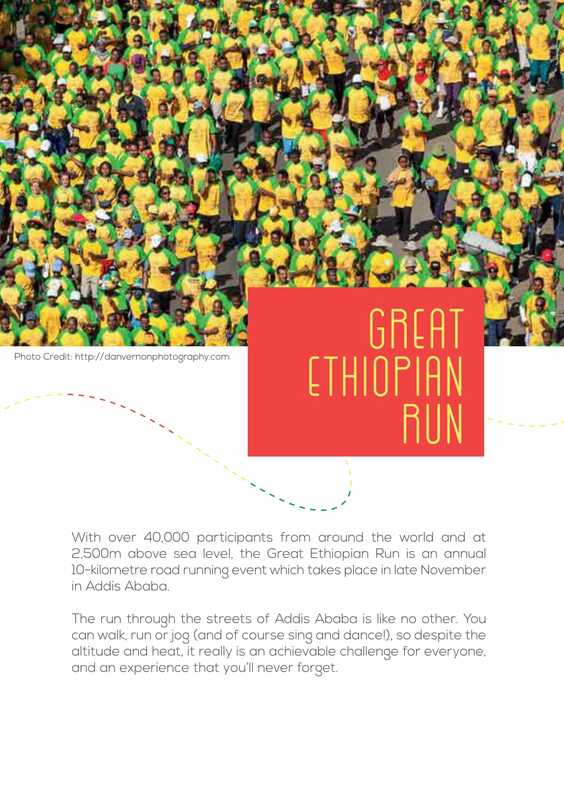 During your visit, you will also take part in the Great Ethiopian Run. 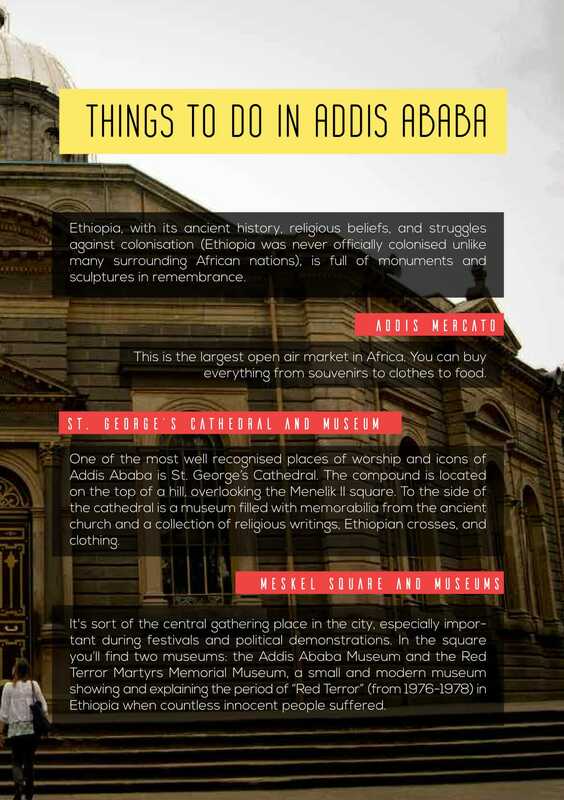 This 10km run through the streets of Addis Ababa is like no other. You can walk, run or job (and of course sing and dance) with 40,000 other participants. Take it at your own pace and undertake a challenge which is achievable for everyone, but an exprerience that you'll never forget! The 2018 trip dates are between 20th and 27th of November and require you to commit to fundraising $4000, excluding flight expenses ($500 regsitration free included). 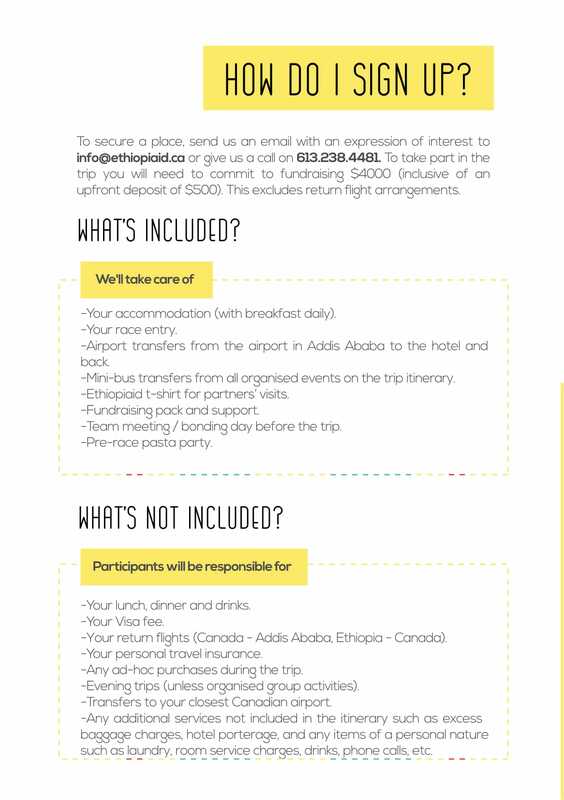 If you would like to find out more, please telephone us on 613-238-4481 or email info@ethiopiaid.ca. Spaces are limited and this is really a once-in-a-lifetime experience, so take the opportunity to challenge yourself, raise money for our partners, and see the work you are supporting! We welcome the support of those who have skills and time to contribute to our work. We are in need of volunteers throughout the year for various tasks such as research, communications, fundraising, office help, and event planning.